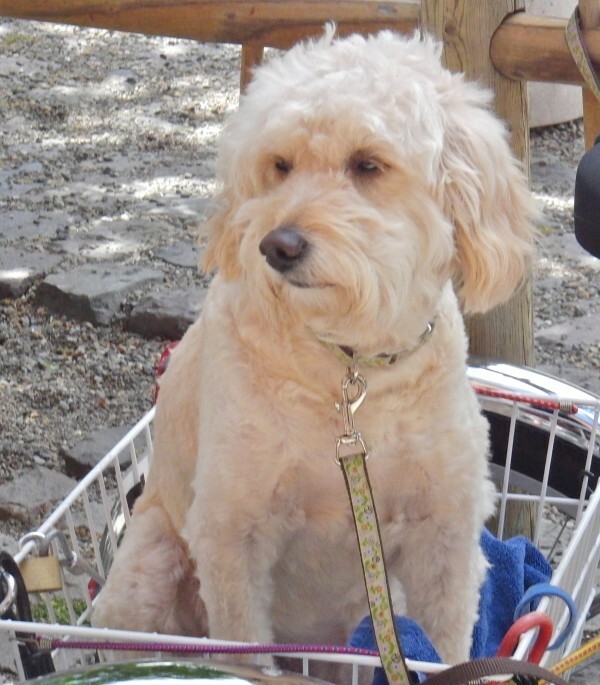 Another dog from the Crossroads Cafe. 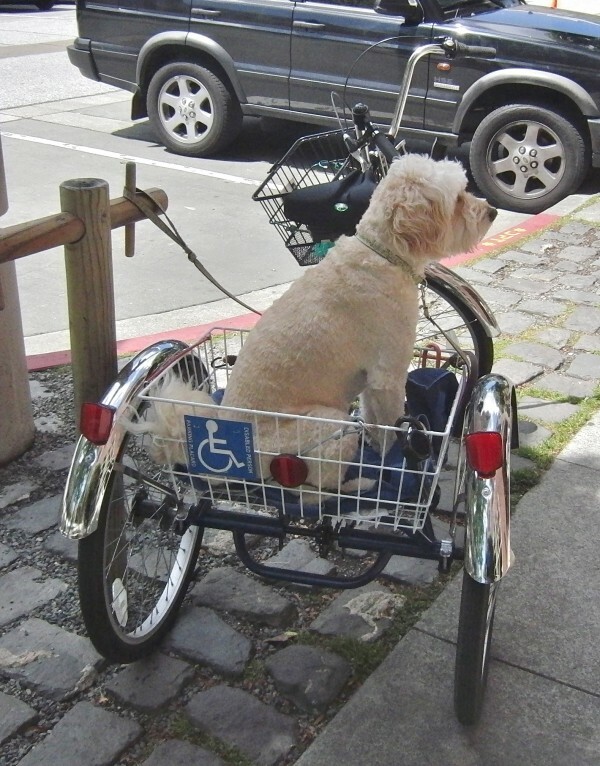 I always kind of thought those trike things were neat, but I never thought they could be used for dog transport. The dogs that wait like this make me feel sad. Not lying down, not relaxing, not being distracted by all the cool stuff around: just staring at the door mom went through, until she comes back out again. Okay, occasionally they do look off sarcastically in some other direction. 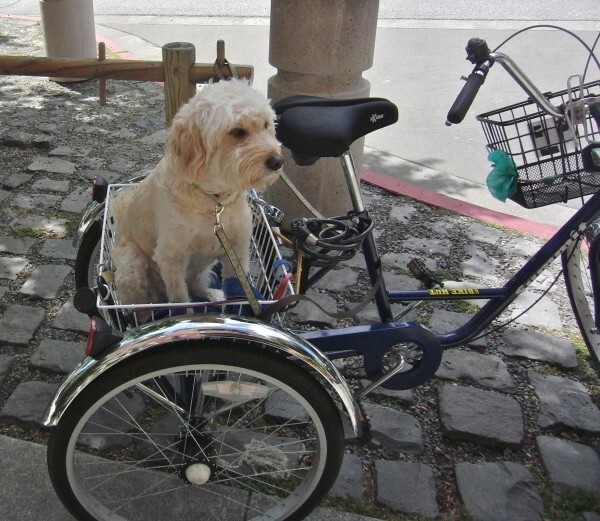 This entry was posted in Dogs out of SF and tagged Crossroads Cafe, Embarcadero, Golden Retriever, Goldendoodle, Mixed Breed, Poodle, South Beach. Bookmark the permalink.